We have been following San Diego-based technology company Feetz ever since we first heard Founder and CEO Lucy Beard’s custom 3D printed shoe pitch back in 2014. Not long after, the company raised $1.25 million in a seed funding round, and 3DPrint.com had the chance to check out a 3D printed preview pair of Feetz, as well as test out a custom pair on the streets of New York. The rest, as they say, is history, and Feetz has hit the ground running since its inception, with pop-up shops, giveaways, and even a nationwide tour over the past year. A few months ago, we heard about a new collaboration between Feetz and designer Seth Aaron, a two-time winner of Project Runway, to launch the first 3D printed designer shoe line at FashioNXT Week on October 13 in Portland. The annual four-day event showcases local, national, and international fashion designers, and highlights fashion-forward technology, including the use of 3D printing. Feetz is the first company to use mobile technology and sustainable 3D printing to create customizable shoes, which is partially why the designer wanted to work together to develop the first designer, ready-to-wear, sustainable footwear line. “Whatever I can design, Feetz can create. We went from concept to the runway and street in 8 weeks, while fashion design traditionally needs to allow for six months,” Aaron said. All four of the 3D printed products launched at the FashioNXT event are now available for purchase on the Feetz website, starting at just $25 for the Sapporo Bangle bracelet and the Kobe Wrist Cuff, both of which are available, in one size only, in white and black. The Tokyo Platform, a 3D printed platform wedge ankle boot that ties in the back with ribbon, is available in women’s shoe sizes 4-20, as well as a custom fit option using the Feetz SizeMe system. The 3D printed Osaka Platform oxford shoe comes in sizes 4-20 for both men and women, and also has the Feetz SizeMe custom fit option; both shoes cost $175 per pair. “This marks a new design paradigm, enabling footwear and accessories designers the opportunity to launch new designs without the worry for upfront capital, having to edit their creative vision for a general mass consumer, or minimum orders in sized inventory,” said Beard. Aaron was joined by Feetz when his new collection and their collaborative 3D printed designer shoe line debuted at FashioNXT last weekend. What do you think of these 3D printed shoes and accessories? 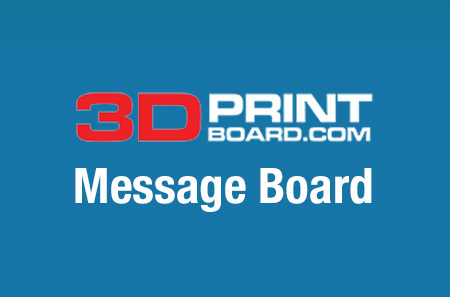 Discuss this and other 3D printing topics at 3DPrintBoard.com, or share your thoughts in the Facebook comments below.